Liskow & Lewis is proud to congratulate Gene Fendler. Gene has an extraordinary record of service to LSU Law. He has been selected as a member of the LSU Law Center Hall of Fame, taught trial advocacy at LSU for several years, and has been a guest lecturer to law students in the fields of tort law, maritime law, and the art of cross examination. He has served on the Planning Committee for The Annual Alvin B. Rubin Seminar on Maritime Personal Injury at the Law Center since its founding and delivered numerous lectures at the seminar. He has spoken at Law Center seminars on torts, civil procedure, and professionalism. Gene has served as a member of the Law Center Alumni Board of Trustees for 14 years and as its President for 10 of those years. Gene’s service to the wider community includes service as Captain in the Louisiana Army National Guard, as President of his synagogue, and as President of the University of Virginia Alumni Club of Louisiana. Gene Fendler is a trial and appellate lawyer with more than 40 years of experience in both casualty and business matters. 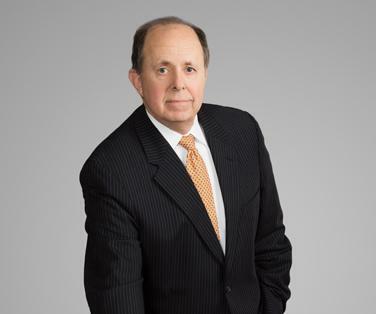 He has tried over 75 lawsuits to verdict or judgment in state and federal courts throughout Louisiana as well as Texas, Illinois and Massachusetts, and has served as lead trial counsel in mass tort and class action matters.